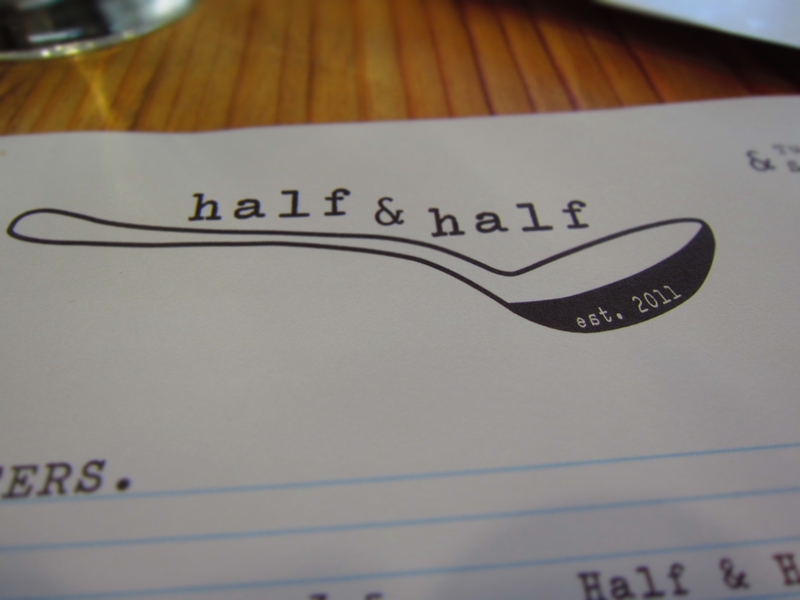 This past weekend I had the good fortune of dining at Half & Half with a dear friend of mine. There has been quite a buzz about this relatively new eatery, located on Maryland Avenue in Clayton. 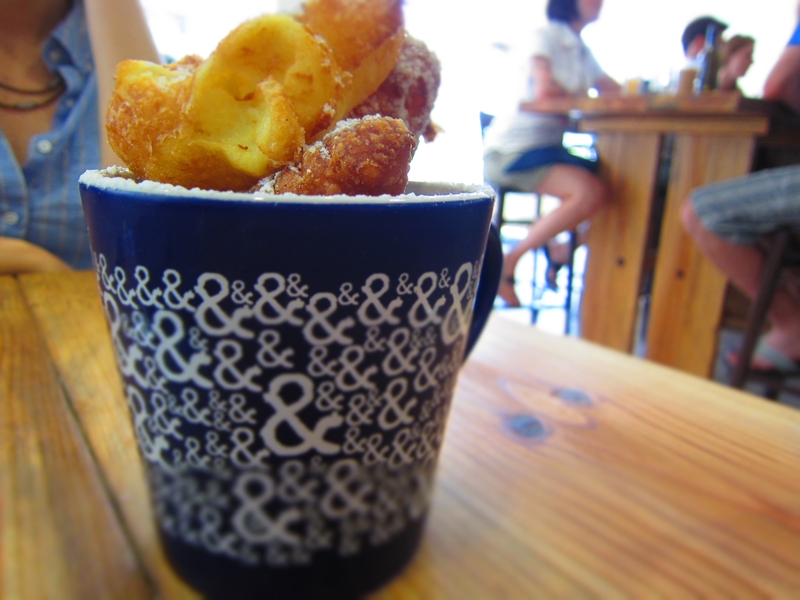 With its small, homey feel, Half & Half is a great spot for that midday craving. 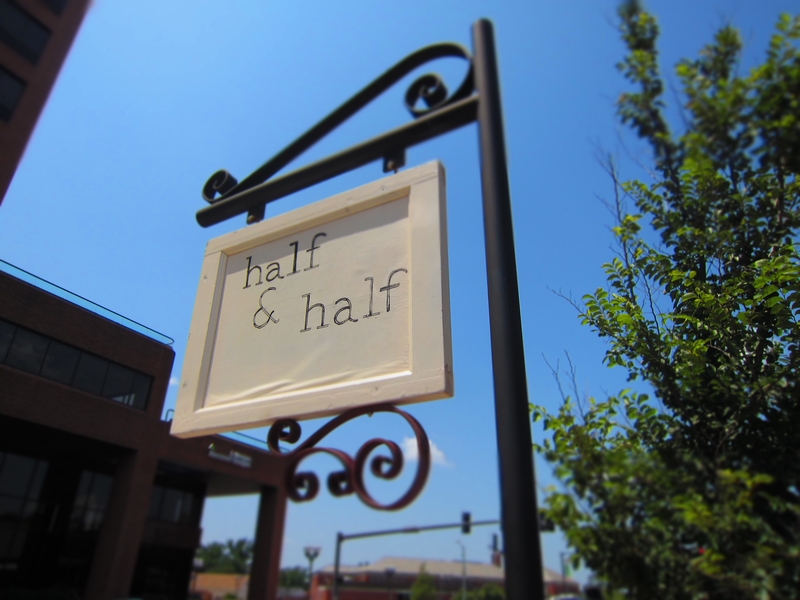 When you head to Half & Half, keep an eye out for the small white sign that hangs next to the street. Located across from Straubs, it’s the only signage the restaurant has. If you’re not carefully, you’ll miss it. It’s a very cute space. Lots of white with blue tones to it. It very much looks like it could be eating at someone’s house. Oh, and lots of ampersands. In addition to their food menu, Half & Half also has quite the elaborate coffee menu. With Kaldi’s as their coffee of choice, they have everything from the familiar to the exotic–order-wise. Feeling adventurous, we both ordered the Cho-Tonics. 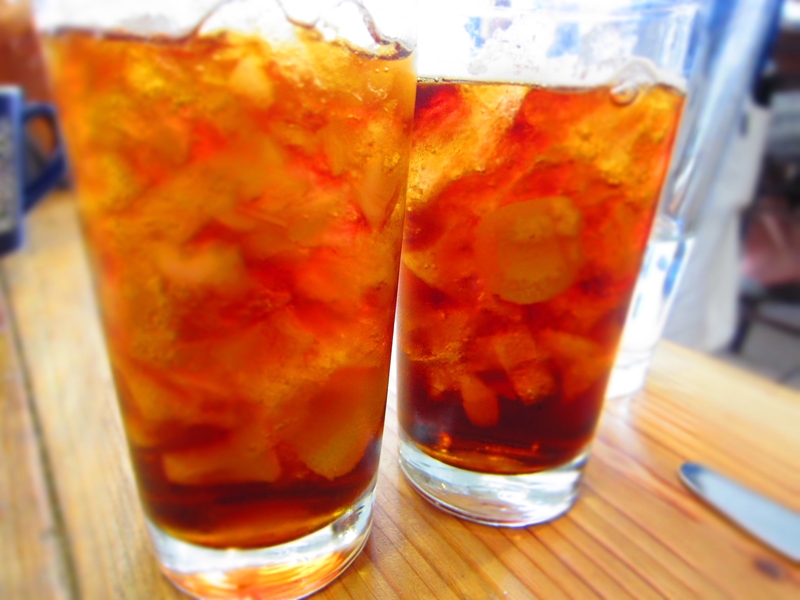 Iced coffee with tonic water and orange oil. Very different and very refreshing. It’s definitely a must try. Overall, the food was good. We split an order of the doughnuts. Amazing. 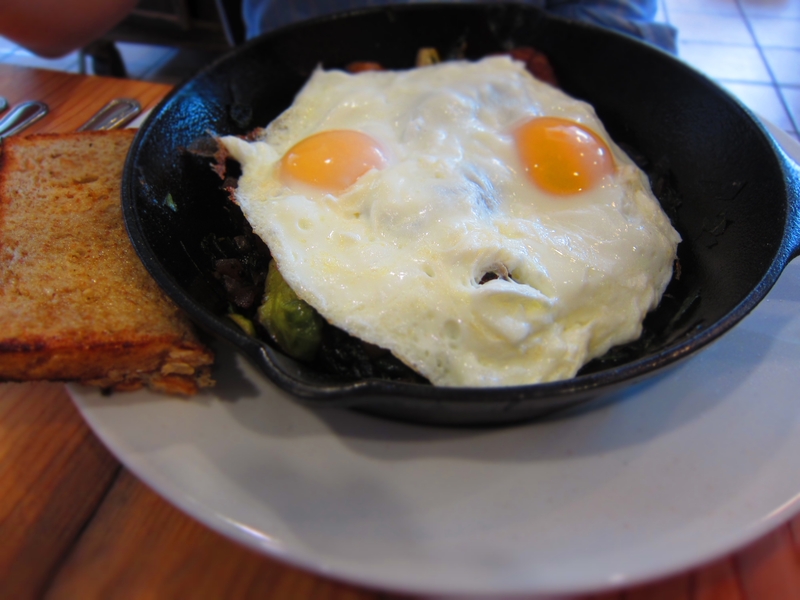 E liked her Veggie Hash. 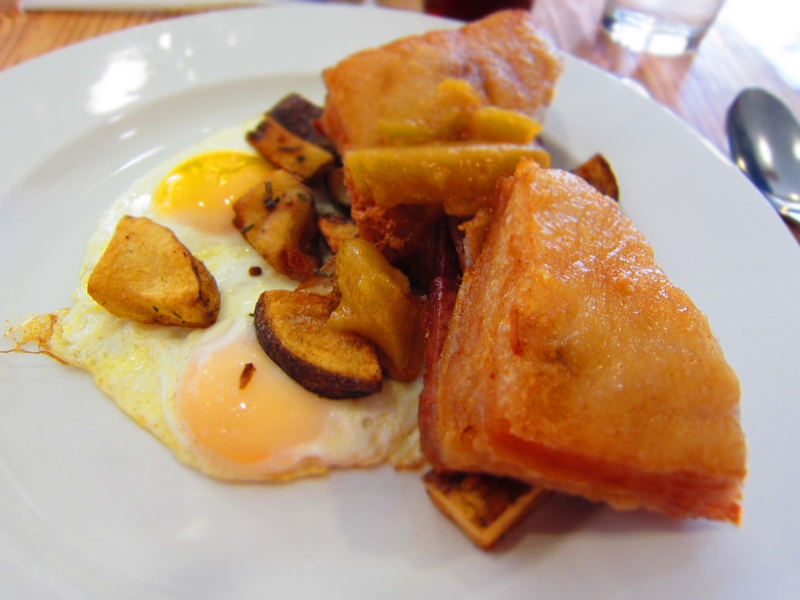 The Pork Belly was a tad greasy, so I ended up eating maybe a fourth of it and focusing more on the eggs and home fries. Next time I go I think I’ll have to try the Blackberry French Toast. It looked delicious. Although still getting the kinks out, if you find yourself in Clayton go try Half & Half and report back to me. I have a feeling this will be a great brunch spot for Saint Louis.